healthbank enters into another important partnership and brings mobile health services to its platform. The cooperation with the Berlin-based company Thryve is another milestone in healthbanks ecosystem strategy. Thryve, whose spin-off roots lie at the Fraunhofer Institute for Computer Graphics, develops and licenses software as a service in the field of mobile health applications. Via a single interface, a so-called single API, data from over 200 different fitness trackers, smart watches and portable medical devices can be connected. The cooperation between healthbank and Thryve links the services of both companies and enables healthbank users to integrate their personal devices. At the same time, the Single API solution is also open to other network partners of healthbank. Thryve is driving forward the individualisation of health care through the use of so-called wearables by patients. „Our software enables health services to access health data from smartphones, smart watches, fitness trackers and other smart devices such as scales or blood pressure monitors via a single API,“ explains Thryve co-founder Paul Burggraf. „By enabling health services to understand and use the wealth of automatically generated data, we can fundamentally improve all aspects of health care – from prevention and screening to intervention and therapy,“ Burggraf adds. How exactly does this work? „Health data from smart watches, fitness trackers or medical devices are easily integrated into digital health services and processed with Thryve – so that individual health status can easily be recognized, health risks automatically identified and the success of therapy measured in objective parameters. This helps us to assess and safeguard the activities, fitness and health of a person,“ Burggraf explains. This health information is supplied via standard sensors of millions of devices in use today. „An adaptive, individual interpretation layer makes different model types of wearables comparable with each other and identifies additional irregularities in the recorded data,“ he explains further. Together with the Charité University Hospital Berlin, Thryve has been developing and testing intelligent solutions for the detection of health risks and disease indicators for several years. Thryve is based on more than ten years of Fraunhofer research and combines artificial intelligence, professional software development and validated medical procedures. For Reto Schegg, CEO of healthbank, Thryve is a dream partner. „The Healthbank platform is optimally designed to integrate partners and applications from the healthcare sector into healthbank’s ecosystem quickly, efficiently and highly securely. healthbank not only offers its partners a state-of-the-art architecture and security approach. The additional integration of wearables together with Thryve increases the attractiveness of the platform enormously. This cooperation enables healthbank users to use individual tracking data from wearables in a standardised way and store it securely in their healthbank account in order to document, for example, successful rehabilitation or long-term observations. In addition, the release of the data for general practitioner, caregiver or within the family is guaranteed. „We believe in a future in which everyone has their own health in their own hands,“ says Burggraf. „A future in which personal assistants protect us from illness, automatically recognise illnesses and health risks and enable everyone to receive exactly the right treatment,“ Burggraf explains his vision. „A vision that we support as a safe, neutral and independent partner,“ explains Schegg from healthbank. Merger of two Swiss start-ups in the digital health sector. With the cooperation of the health data platforms healthbank from Baar and Sanovation AG from Zug, the users of the two innovative start-ups will receive a multitude of new possibilities with their health data. offers users a highly secure storage for health data under their full control and an innovative data exchange platform. As a central agency for individuals, health service providers and researchers, healthbank increases the quality of care and lowers global health costs. Today, according to Sanovation, one in five adults suffers from chronic pain. The aim of the intelli-gent pain diary „CatchMyPain“ is to enable a detailed, ongoing recording of pain samples. With „Pain Companion“, users can find similar patients by comparing the pain diaries, who can exchange information directly with each other or in a community. Thanks to the two Sanovation Apps, patients and their doctors and therapists receive a meaningful communication tool, especially through long-term recording. The analysis of a large number of pain diaries, if users allow it, will lead to new findings in pain medicine. Reto Schegg adds: „The knowledge about chronic pain is currently scattered on many paper archives of doctors, therapists and hospitals. This makes it practically impossible to systematically compare and analyze pain cases. The cooperation between Sanovation and healthbank can signifi-cantly improve this problem. For Sanovation CEO and Chairman of the Board Roman Haag, this could improve the quality of life of millions of patients worldwide. In addition, administrative processes and treatments become more efficient and thus more cost-effective. „The cooperation with healthbank will improve the situation of chronic pain patients in the long term. On the other hand, we see great potential in the integration of additional data sources such as medication or fitness data, which is only made possible by the cooperation with healthbank. Haag explains. With the new basic data protection regulation of the European Union (GDPR), the cooperation makes an important contribution to the data protection of users. According to Reto Schegg, „CatchMyPain“ and „Pain Companion“ are just two of many applications that will be running on the healthbank platform in the future and with which users can manage their health data, explains Reto Schegg. The pain diary CatchMyPain is developed and maintained by the Swiss start-up Sanovation AG in Zug. Sanovation was founded in November 2011 and since then works exclusively on CatchMyPain. The idea for CatchMyPain came from the pain story of a co-founder. The application is primarily aimed at people with chronic pain who feel similar pain over a longer period of time. The vision of Sanovation AG is to help individual users on the basis of all collected user data by com-paring symptoms and making recommendations. healthbank is the world’s first citizen-owned, neutral and independent health data transaction platform that enables peo-ple to share their data in a secure and privacy compliant way with other partners. healthbank connects data sources of all kinds from the entire health sector and rewards participants to share their health data for research purposes. Based in Switzerland, healthbank stands for Swiss neutrality, trust and data protection and enables participating citizens, research-ers and organisations with large amounts of data to network with each other. Thus, the value of health and medical data can be optimally tapped on this independent, global health platform. healthbank promotes innovations in health care, from prevention to cure, at a more reasonable price and of better quality, for the benefit of individuals and society. Swisslog strengthens its position in Turkey by expanding the partnership with Simeks to jointly supply complete solutions for medication management. ISTANBUL – Swisslog, the leading hospital automation solutions provider in material handling and medication management, and Simeks, the leading provider of medical equipment and technological solutions for the global health care sector, announce an expansion of their partnership, where Simeks will start distributing the medication management solutions of Swisslog in Turkey, Turkmenistan, and northern Iraq. For many years, Simeks has been distributing the Swisslog material handling solutions, which has resulted in a market-leading position for the pneumatic tube systems. The expanded partnership will aim to also achieve this position in medication management solutions. tive solutions that will enable the best patient experience possible,“ said Bahar Sunman, board member of Simeks. Swisslog ist ein führender Anbieter automatisierter Logistiklösungen mit Hauptsitz in Buchs/Aarau, Schweiz, und beschäftigt rund 2 200 Mitarbeiter in über zwanzig Ländern. Swisslog gliedert sich in die Divisionen Warehouse & Distribution Solutions und Healthcare Solutions. Swisslogs Division Healthcare Solutions ist spezialisiert auf automatisierte Inhouse-Logistiklösungen und automatisiertes Medikamentenmanagement für Einrichtungen des Gesundheitswesens. Führende Krankenhäuser auf der ganzen Welt arbeiten eng mit Swisslog zusammen, um ihre Logistikprozesse zu optimieren, die Effizienz und die Wirtschaftlichkeit zu steigern und die Patientensituation zu verbessern. Swisslog Healthcare Solutions bietet eine einzigartige Kombination aus Fachkompetenz und Erfahrung, basierend auf mehr als 3 000 Installationen in Krankenhäusern in aller Welt. Dank jahrzehntelanger Erfahrung in der Planung und Realisierung von Lösungen schafft Swisslog nachhaltigen finanziellen und operativen Nutzen für Kunden in über 50 Ländern. (ddp direct) PARIS, FRANCE and FRANKFURT, GERMANY — (Marketwired) — 09/12/13 — Arkadin, einer der weltweit größten und wachstumsstärksten Serviceprovider für standortunabhängige Zusammenarbeit mit einem breiten Portfolio an Lösungen für Audio-, Web- und Videokonferenzen sowie Unified Communications, gibt heute die Ernennung von Didier Jaubert zum Chief Partnership Officer bekannt. Didier Jaubert ist somit verantwortlich für das weltweit stetig wachsende Partnernetzwerk von Arkadin. Das zweistufige Programm richtet sich an führende Technologieunternehmen und umfasst Verträge für Reseller sowie Vereinbarungen zur Integration von externen Audiolösungen auf einer von Arkadin gehosteten Plattform. Außerdem wendet sich das Partnerprogramm mit strategischen White-Label-Angeboten an Telekommunikationsunternehmen, die ihren Kunden Arkadins Lösungen für standortunabhängige Zusammenarbeit anbieten. Für Olivier de Puymorin, CEO und Gründer von Arkadin, ist die langjährige Erfahrung von Didier Jaubert ein großer Pluspunkt bei der Ausgestaltung und Anbahnung von neuen Partnerschaften, die für die Zukunft von Arkadin erfolgsentscheidend sind. Didier Jaubert verfügt über 30 Jahre Managementerfahrungen in multinationalen Unternehmen der IT- und der Telekommunikationsbranche. Als Senior Vice President bei Orange Business Services erzielte er seit 2007 zahlreiche Erfolge bei Projekten in den Bereichen Outsourcing und Systemintegration. Ebenso überzeugte er mit großem Verhandlungsgeschick bei Vereinbarungen und Partnerschaften im globalen Umfeld. In seiner vorherigen Rolle als Senior Vice President für Global Solutions und Services stellte er bei Orange die Weichen für die Cloud-Lösungen, Unified Communications und Initiativen im Bereich Collaboration. Zusätzlich führte er ein umfassendes Portfolio an Cloud-basierten Angeboten ein. Zuvor war er 20 Jahre lang bei IBM mit zentralen Managementaufgaben in den Bereichen Vertrieb und Global Services in den USA und in Frankreich betraut. An der École Centrale Paris schloss er sein Studium als Ingenieur ab. An der Universität von Paris studierte er ebenso erfolgreich Wirtschaftswissenschaften. In seiner neuen Rolle wird Didier Jaubert am Firmensitz von Arkadin in Paris arbeiten und als Vorstandsmitglied direkt an CEO Olivier de Puymorin berichten. Arkadin wurde 2001 gegründet und ist weltweit einer der größten und am schnellsten wachsenden Anbieter von Collaboration-Services. Die Unternehmensvision von Arkadin beruht auf der Überzeugung, dass der Fortschritt ein Resultat des Verlangens der Menschen ist, Information zu teilen und gemeinsam zu nutzen. Hierzu stellt Arkadin eine umfassende Auswahl an Remote-Lösungen für Audio-, Video- und Web-Konferenzen und Unified Communications zur Verfügung. Arkadin stellt diese Dienste mithilfe eines SaaS-Modells (Software-as-a-Service) bereit, um seinen Kunden einen schnellen und skalierbaren Einsatz mit einer hohen Rendite (ROI) zu ermöglichen. Das Unternehmen unterhält in 32 Ländern insgesamt 51 Niederlassungen, die mit ihren engagierten muttersprachlichen Support-Teams seine 37.000 Kunden betreuen. Zurich, Berlin, Frankfurt, Warsaw European IT consulting and services firm IMPAQ Group and Berlin-based maker of ECM and Business Process Management solutions SAPERION AG announce a strategic partnership formed in early May. IMPAQ’s expertise and experience in the areas of data migration, application archiving, and application decommissioning are complemented by SAPERION’s mature ECM solution. Together they offer customers an excellent foundation for revision-proof and legally secure archiving of data and documents. Hamburg – May 28, 2013 – PhraseApp, the Translation Management Software, today announces their new cooperation with Gengo, the Translation Platform for global companies. For customers this means: Translations now easily can be managed and ordered in more than 36 languages through PhraseApp with just one click. Translations that are ordered within PhraseApp directly get redirected to Gengo and get translated by their 8.000 professional translators. Thus, customers don“t have to search for translators nor have to exchange emails and they save lots of time and money in administration. As soon as a translation job is finished, the customer will get the translation back within PhraseApp and get an email confirmation. PhraseApp guarantees transparency and users are always up to date. Gengo is a renowned online Translation Platform with the headquarter in Tokyo, Japan and an office in Mountain View, California. Gengo was found in 2009 and is specialised in delivering high quality translation and takes care of quality control, job allocation and translation review. The integration of Gengo in PhraseApp simplifies the translation process tremendously and accelerates the internationalization of software projects. And the best: Companies can focus on their business, while Gengo and PhraseApp empowers them to go global. PhraseApp costs between $9 and $15 USD per language and month, a free version for small projects is available. The price for translations in PhraseApp with Gengo are between $0.06 and $0.17 per word, depending on the language combination. Gengo is the platform for global companies. A powerful API lets enterprise customers integrate professional-quality translation into their application, making it easy to build multi-language services. Gengo“s simple website also allows individuals and SMBs to order individual translations in a matter of seconds. Over 7,500 qualified translators work on jobs through the Gengo platform, in all timezones. This scale means Gengo can return simple translations in a matter of minutes, in 33 languages and at a quality level suited to each customer. Gengo“s platform takes care of quality control, job allocation and translation review. This means companies can focus on their business, while Gengo empowers them to go global. Gengo was founded in 2009 and is headquartered in Tokyo. PhraseApp speeds up the translation of online content in Web-, Mobile and Desktop applications. The cloud-service is developed by the startup entrepreneurs of Dynport GmbH, located in Hamburg, Germany and was released in November 2012. With the Translation Management Software, companies can save up to 80 per cent of administrative expenses for translation projects. More than 500 international companies already trust in PhraseApp – from small businesses and agencies to well established companies such as Wimdu.com, SponsorPay and BangTheTable. PhraseApp wurde von den Hamburger Start-Up Unternehmern der Dynport GmbH unter Leitung von Wolfram Grätz und Frederik Vollert entwickelt und im November 2012 veröffentlicht. 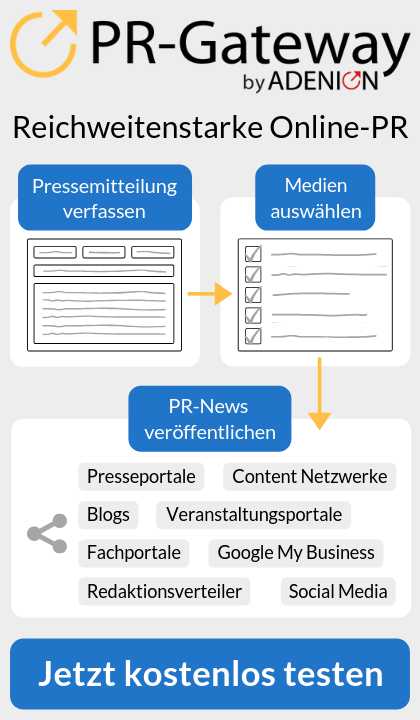 Die Übersetzungsmanagement-Software beschleunigt die Übersetzung von Online-Content in Web-, Mobile- und Desktop-Anwendungen erheblich: Dank PhraseApp sparen Unternehmen bis zu 80 Prozent an Zeit bei den Übersetzungsprozessen von mehrsprachigen Anwendungen. Unternehmen bezahlen für PhraseApp zwischen 7 und 11 Euro im Monat. Bereits mehr als 1000 Agenturen und Unternehmen nutzen PhraseApp weltweit, darunter befinden sich deutsche Kunden wie: SponsorPay, Wimdu.com, Jobmensa.de. New York, NY, USA; Mainz, Germany; March 26, 2013 – TELEHOUSE America (www.telehouse.com), the United States‘ leading provider of dedicated data centers, international Internet exchanges, and managed IT services, announces it has formed a strategic partnership with Cube Optics, a manufacturer of fiber-optic components, modules and systems for use in data and telecommunications. Through this partnership, Cube Optics will provide TELEHOUSE with advanced networking solutions utilizing the latest in Dense Wavelength Division Multiplexing (DWDM) technology. By incorporating DWDM technology across its network, TELEHOUSE can quickly expand its capacity on existing routes without having to upgrade the fiber or incur higher costs. In addition to Cube Optics DWDM multiplexers, TELEHOUSE will also use line protection devices to provide full redundancy at lower costs, compared to a dark fiber solution. With these advanced network technologies, TELEHOUSE can further its efforts in meeting demand and continue to adeptly manage its growing bandwidth needs. To learn more about TELEHOUSE and its services, visit www.telehouse.com . For more information on Cube Optics, visit www.cubeoptics.com . A stable and trusted pioneer of carrier-neutral data center services, TELEHOUSE provides secure, power-protected environments, where clients house and operate their telecommunications and network resources. Among the many benefits of colocating with TELEHOUSE is the ability to connect to state-of-the-art peering exchanges in New York (NYIIX) and Los Angeles (LAIIX). Through Manage-E (http://telehouse.com/mngdservices.php), TELEHOUSE provides a comprehensive suite of solutions – from help desk and hardware support to managed IT infrastructure, security and compliance services – all delivered by expert consulting and operations teams on a global scale and from one point-of-contact. Additionally, the global availability of 44 TELEHOUSE-branded data centers in 23 cities throughout Asia, Africa, North America and EMEA, delivers continuous, cost-effective operation of network-dependent, IT infrastructure to businesses around the world. Please visit Telehouse.com, or contact us at sales@Telehouse.com. Follow TELEHOUSE on Twitter @TELEHOUSE. Abo“s sind out – simple und konsumentenfreundlich soll es sein. Der mobile Bereich ist in aller Munde. Sei es der App-Store oder der Android Marketplace, alle bieten App“s für Smartphones. Nur muss es immer ein Smartphone sein worüber Inhalte bestellt werden können? YOULOAD eröffnet seinen neuen mobilen Bereich web-basierend jetzt auch für PC User. Mit einer sehr simplen durchdachten Benutzerführung sucht man sich aus dem noch kleinen Portfolio, sein persönliches mobile Telefon aus und passend werden dazu Spiele angezeigt. Einfacher geht es nicht, das spart Zeit beim suchen und erfreut den Kunden wenn etwas passendes gefunden wird. Die Welt ist somit für mobile Endgeräte die Android oder Java unterstützen eröffnet. Auf einen Blick erkennt man aber schon wo die Reise hingehen soll. Für HTC, Blackberry, Nokia, Samsung oder SonyEricsson Nutzer ist gesorgt und das Repertoire wird nach und nach vom Vertriebspartner eFusion aufgestockt. Die Vorteile liegen auf der Hand: Spiele auch für Handy Nutzer die keine Internetverbindung haben, keine Abofallen oder teuren Versand von SMS nutzen möchten. Denn die Spieleinhalte werden direkt auf das mobile Gerät gesendet. Somit weltweit verfügbar und in kürzester Zeit abrufbereit. 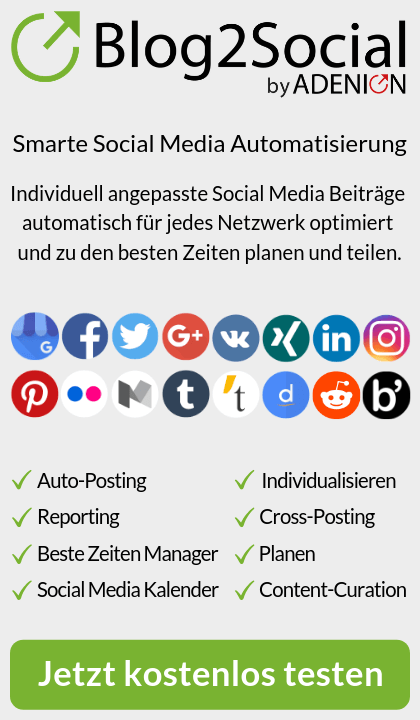 In Vorbereitung ist der Versand und die mobile Bezahlmethode der gesamten Produktpalette bei YOULOAD. Von Musik über Hörbücher wie auch eBooks, bis hin zu Software und PC Spiele. YOULOAD soll Kunden zufriedenzustellen, die einfach nur eine Plattform zum online einkaufen möchten. „Wieder ist ein Schritt erfolgt der YOULOAD als Vollsortiment Anbieter nach vorne bringt. Daher bin ich erfreut das noch ein weiteres gutes Produktportfolio dem Endkonsument zur Verfügung steht, was täglich erweitert wird und freue mich auf den Zuwachs für den YOULOAD Download Shop“, so Marc Breder, Geschäftsführer der YOULOAD GmbH. Die Leidenschaft für mobile Inhalte steht bei eFUSION seit knapp 10 Jahren im Vordergrund. Das Frankfurter Unternehmen liefert weltweit Content für mobile Endgeräte von über 40 Partnern aus. Mit einer absoluten technischen Kompetenz umfasst eFUSION globale Erfahrungen und die engagierte F&E geben eFUSION einen Wettbewerbsvorteil bei der Distribution und Vermarktung von innovativen mobilen Spieleinhalten über WAP und Web Plattformen. www.youload.de ist der Download-Shop, mit legalem Kaufcontent und neben Deutschland auch in Österreich und der Schweiz erreichbar. Das Angebot umfasst Musik aus allen Kategorien, Videos, Hörbücher & eBooks, PC-Spiele sowie Software für PC und MAC. Mit einem Repertoire von über 4,5 Millionen Produkten zum Download, hat YOULOAD knapp 30% des weltweit verfügbaren digitalen Content. Es wird keine Software benötigt um Online-Einkäufe zu tätigen, da YOULOAD browserbasiert arbeitet. Viele sichere Bezahlmethoden, einheitlichen Audioqualität von 320 kbit/s, keine Verpflichtungen, Gebühren, Mindestumsätze oder Vertragslaufzeiten fallen im YOULOAD Shop an. www.youload.de ist der Download-Shop für Deutschland, Österreich und der Schweiz. Das Angebot umfasst Musik aus allen Kategorien, Musik-Videos, Hörbücher, eBooks, Software und Spiele für PC, MAC und mobile Endgeräte.